An idea that challenges, confuses and sometimes even angers people is that each of us could be reborn as an animal. 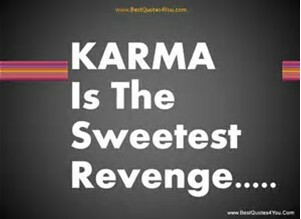 When I recently blogged about karma, quite a few of the comments asked more about this subject. So, what is the Tibetan Buddhist perspective? It’s important not to be encumbered with ideas from Western culture and society when exploring Buddhism. In particular, there is no reference to a ‘soul’ in this tradition. No permanent, independent self, personality or essence which is ‘the real me,’ that exists separately from our body. We need to let go of that idea. The acquired personality is regarded as something which is specific to this lifetime and which ends when we die. Cherishing such a self, trying to concretise something which is, in fact, highly conditional on our circumstances and brain functioning, can only cause us to suffer. However, Buddhism is not materialist. It does not suggest that we are merely physical beings. One of the reasons why Buddhism is called ‘the Middle Way’ is because it suggests that between eternalism on the one hand, and nihilism on the other, is a very subtle consciousness and energy which is conditioned by our actions and experiences through life. Or, in more traditional Buddhist terms, mind propelled by karma. What moves from one lifetime to the next is not a soul, a complex intellect or a hard drive of memory. It is much more subtle than that. We know that animals have consciousness. That just like us they are, as Buddhists put it, ‘sem chens’ or mind-havers. The idea that the very subtle consciousness that once experienced reality as a human, may now experience it as a kitten is not such a weird idea when we understand this pared down notion of mind. Many of us have had glimpses of how such a thing may be possible from our dreams, when we may experience reality in many different guises besides the one we are so familiar with when we are awake. It is quite possible you may have had a very strong sense of self even though you were an animal, alien or some other being – in a dream. 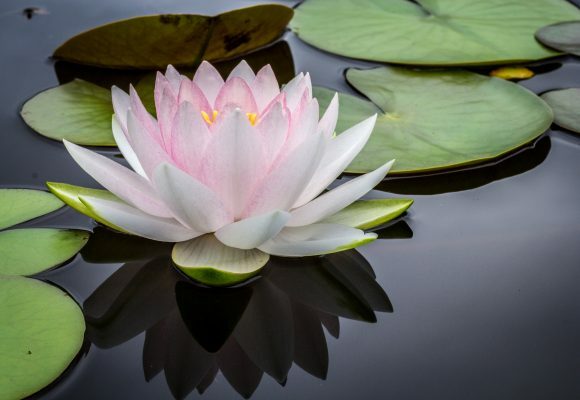 If the notion of coming into this world as another kind of being is a little frightening, well, that’s why Buddhists call what we have ‘precious human rebirth.’ As human beings in developed countries most of us enjoy rights, protection and limitless opportunities to generate the positive causes for future positive effects. 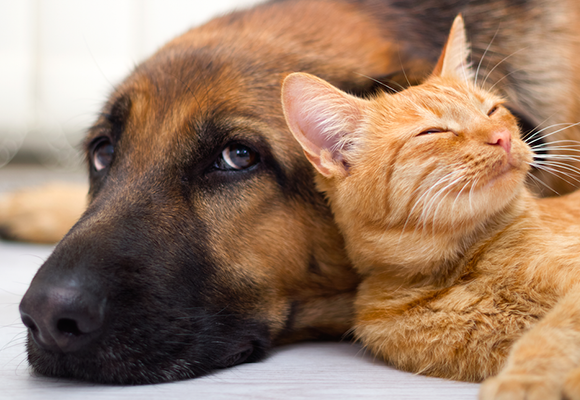 Animals generally have none of those, unless they have the immensely good fortune to end up in the homes of doting pet lovers. Buddha himself once used the metaphor of a blind, crippled turtle that comes to the surface of the ocean once every 100 years just happening to stick its neck through a wooden hoop, to describe the unlikeliness of being born as a human being with ‘leisure and fortune’ – which pretty much describes our lives in the West today. What we take for granted, looked at dispassionately, is actually incredibly rare. It arises from a specific cause – virtue. 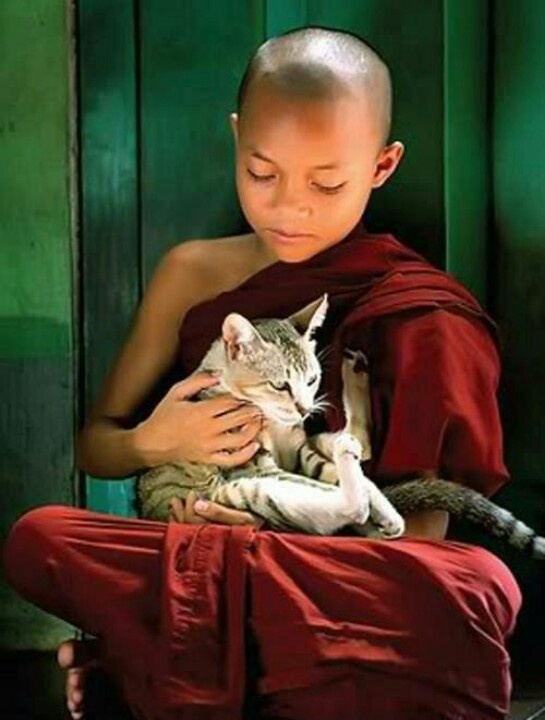 Any being acting in according with virtue, creates a cause to be reborn as human. The counterpoint is that non-virtue is the cause for a much less auspicious rebirth, including that of an animal. Failing to make the most of our precious human rebirth to cultivate virtue is sometimes likened to visiting an island littered with precious jewels, and not picking up any before returning home. A lost opportunity unlikely to be repeated for a very, very long time. 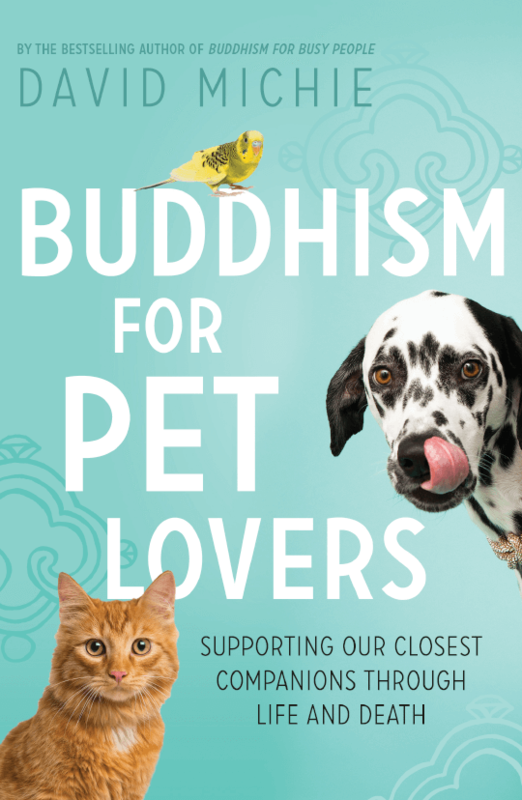 Exactly how we can help our pets create the positive causes for a more positive future is something you’ll find in my book, Buddhism for Pet Lovers. I rather like coming back as a cat – home that loved and cared for me greatly of course. As a Labrador, in a loving home, also has it’s appeal… of course, I gather there’s no way of knowing in advance unless one is truly enlightened, and then, I gather, it wouldn’t matter so much… maybe. Wonderful post! I struggle with the ideas of rebirth and reincarnation but letting go of the idea of the soul is really helpful. As my precious cat Keek is coming closer and closer to the end of this life – and so am I, to be honest – I am really looking forward to your new book. You have described the chanting (whispering) that we can do to help our pets pass peacefully from this life in a previous post and I hope that I will have the opportunity to do that for Keek. This week, however, he used up one more of his nine lives within this life and although I was afraid he wasn’t going to make it, he is finally on the way to recovery after his recent eye surgery. I can’t remember the exact words we are to say, and look forward to learning them. Was it “Om mani padme hum?” I have this on a wall hanging and it is my understanding that just having these words of compassion is beneficial – perhaps not as much as meditating on it. I need to renew my meditation practice. Which leads me to another question – how can we be present during meditation when we are lost in a swirl of anxiety over a beloved companion – even if he is “just” a cat? 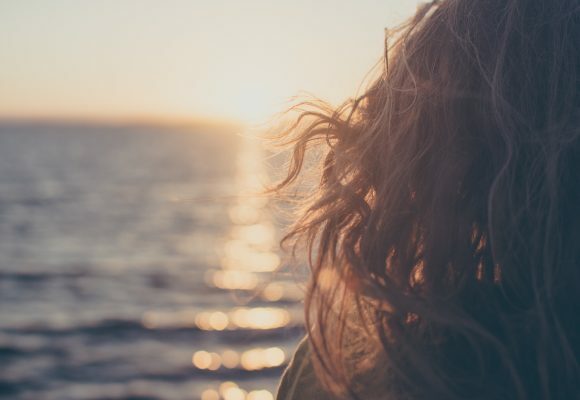 I tried to meditate when I was very worried this past week and I just gave up – I thought, I just don’t want to be present with all this painful anxiety. Hi Karolina, The book I refer to here is my novel, The Magician of Lhasa. Petsonally, I always said I want to come back as a cat next lifetime… prob cos I feel Inam a cat lol. Separating that soul driven consciousness from actual is interesting and vital…. For me none of this is belief… it is knowing. I love yourd reading The Magician of Lhasa and its build in karmic concepts… the story was woven together so incredibly well!! And I can relate to much of it. I took in two feral kittens just over four years ago and know we are karmically connected. I don’t dwell on it… it is just an underlying current. One I often call my little girl and the other my little baby although they have different names. Make of it what you will… I feel a deeper connection and there isca strong bond. Looking forward to maybe a sequel to the Magician?! yes , animals do have souls . before this following incidence which has happened to me, I never thought about afterlife topic. I lost my beloved cat in august 2018 .. and I was very sad and depressed .I must say she was an emotional talent during her life period. She lived her life like queen as being most favorite cat of all family members. 10 days after her death she came in my dream ..that experience was so real .same touch and love .. somehow she consoled me and built the feeling in me that ‘she don’t want to blame me for anything and she is calm and happy in afterlife .her only concern is my depression ,she wants me to be calm and happy .she still loves me and don’t want to see me crying or depressed ” to my surprise my mom had a dream and a little girl in white dress explained her the same things. According to me animals too have conciousness and souls and some of them can have positive causes for more positive future.